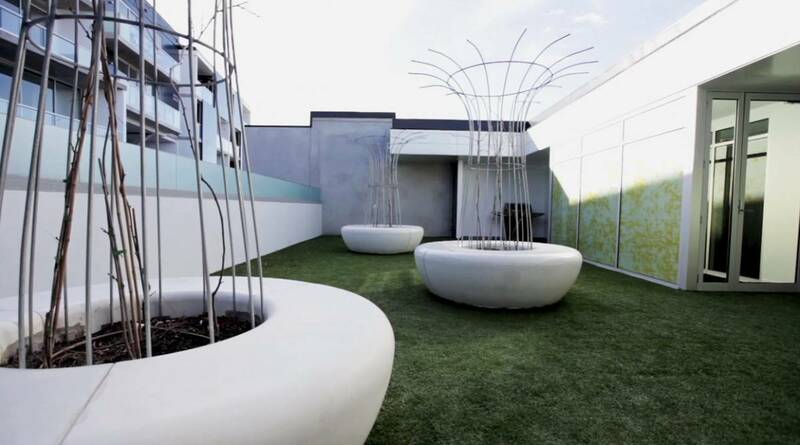 Part Two of our Concrete Blonde Showroom Feature - Designer & Manufacturers of custom made concrete benchtops and products in Melbourne. We recently posted part one of our showroom interview with Concrete Blonde, focusing on the different uses of concrete around the home. If you haven’t already, click here to check it out! In part two, we’re focusing on the textures and colours you can achieve with concrete. Also, make sure to have a look at Archi Channel’s video feature of Concrete Blonde (link below!) to see for yourself the amazing process of creating concrete furniture. Part Two: Materiality, Finishes and Colours of Concrete Products for the Home. There is a massive range of colours available, from whites, blacks and browns, to reds, pinks, ochres and blues. Being mineral oxide, they are light fast and won’t fade in the same way that dyes would. Colours are mixed straight into the concrete mixture, so the shade is integrated throughout the concrete. 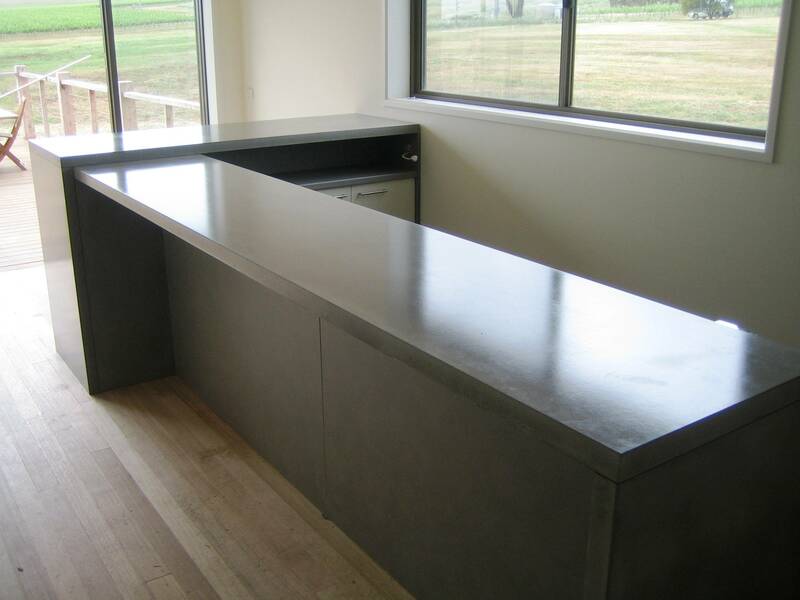 What types of edge profiles are available for concrete benchtops? We have a small pencil round and a fairly square set edge. We don’t get into details such as bullnoses because they are more for period style homes and are more appropriate for materials that can be ground and shaped by a stonemason whereas we are casters and not grinders. During the liquid phase of creating a concrete benchtop, we are able to create our shapes and our details without the need for grinding in the solid phase. We can also take silicone mouldings off of any sort of material to use as an edge profile; for example, if we are making a timber textured mould, we can take a silicone mould off the edge of the timber and use that so the woodgrain on one side and the timber crosscut at the end of the table. When cast against different types of materials, concrete has the ability to take on the properties present; if cast against glass, the finished product will have the look, texture and shine of the glass. If we cast on wood grain, the concrete will come out looking like woodgrain. As such, there are an infinite number of textures we can create such as woodgrain, metal finishes and linen finishes, with the linen and woodgrain finishes being most popular for Dining tables. 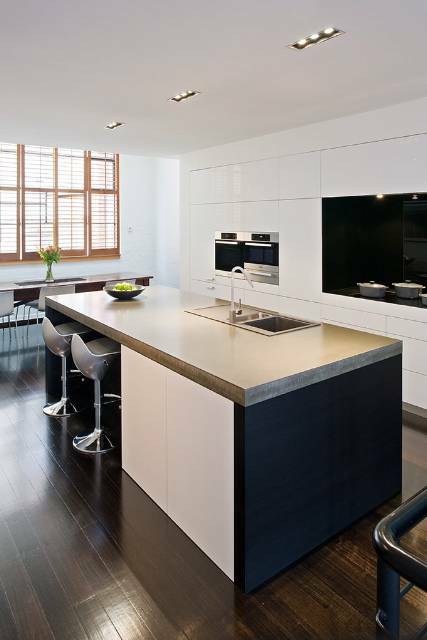 What thicknesses are available in concrete benchtops? Our benchtops are made in a 50mm thickness. This creates a stronger, more permanent and stable solution and has so much more presence, whereas most stone benchtops are created in 20 mm thick slabs and are then placed one on top of the other to create a thicker benchtop. We are also able to create thicker benchtops; for example, for a 100mm behchtop we do not make our slab at 100mm throughout. We create another set of internal formwork that we set into the concrete during casting during the casting which allows us to pour the perimeter up in full thickness. At the end of last year, we completed a project in Brighton that required a 150mm concrete benchtop with a massive island: 3000mm x 1200mm with 150mm legs on either end. Would a concrete benchtop in the Kitchen require extra support in the cabinetry? Our bechtops can go on most standard cabinetry and do not require any extra support: a standard specification: 16mm moisture resistant melamine or MDF modular cabinetry. As cabinetry is made in modules and is all fixed together, it is strong enough to support the weight of the concrete. Although the concrete benchtop is a bit heavier than the other competing materials, it is only 150kg per square metre. We are also able to cast in basins, mostly for Bathrooms where the benchtop runs seamlessy into the bowl and back out again. We’ve got about a dozen different shaped moulds for Bathroom basins: basic hammock shapes, circular or oval shapes, wash plains and some deep troughs as well. What types of sealers are used? The sealers we use are warrantied for ten years. They are food grade and USDA approved, very low VOC (Volatile Organic Compounds), and are almost like water which is very important these days. 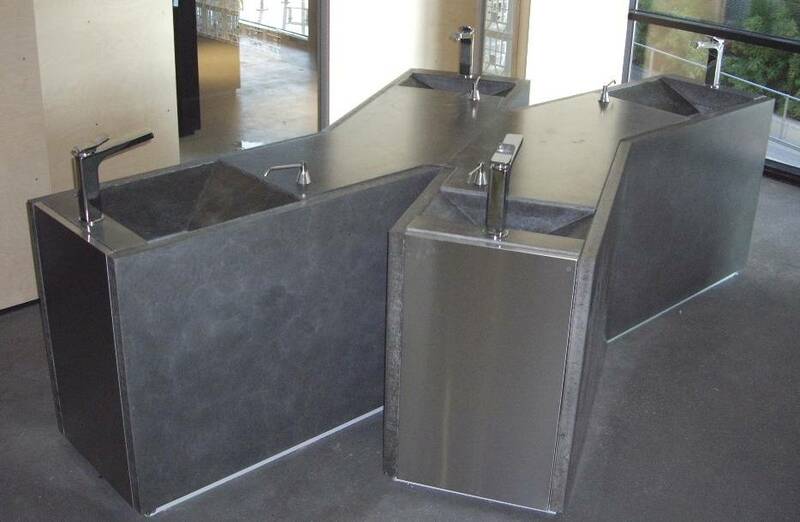 How much would your clients expect to pay for a concrete benchtop? Concrete benchtops fall right at the very end of the pricing scale! For a 50mm thick benchtop we quote $1,400m²; sink or stove penetrations at $400, and then we install for $900 a day, plus GST. Specified by Oculus Landscape Architects, Concrete Blonde’s ‘Donut Chair’ is an elegant piece of outdoor furniture. Click here to watch the creation of the ‘Donut Chair’!